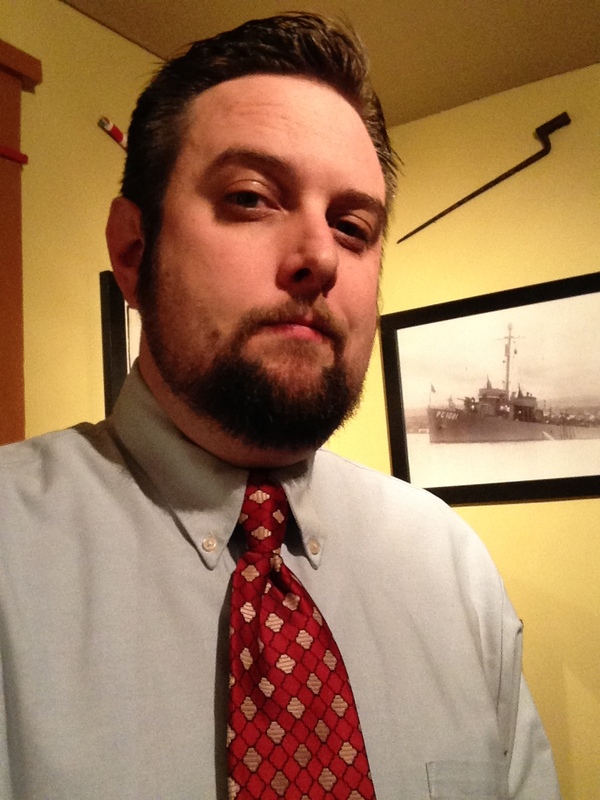 My second necktie was a clip-on. I was in middle school. It was red with white geometric shapes outlined in black, polyester and wide as a ’74 Continental. It was a present from a great-aunt and I loved it. Now, I know you are snickering, but bear with me. I learned something valuable from this tie. 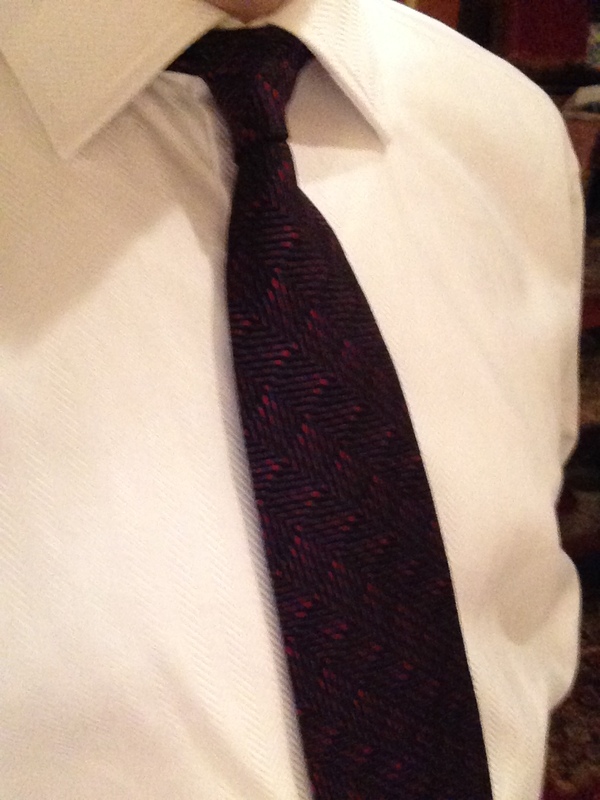 Even before I ever learned how to properly tie a necktie, I realized the importance of the knot itself. As I grew older and watched how men tied their ties, I became aware that the art of the knot was rapidly declining. I, however, didn’t have this problem because my one and only behemoth neck tie was tied perfectly for me every single time. I wore it occasionally through middle school and high school, but this was just not something that was worn in the everyday halls of public schools. For any formal event, school or otherwise, the trusty clip on came out and every time it looked fantastic. It wasn’t until my first job that I realized how poorly the modern cravat was being worn. Men in stiff white shirts and crisp pants would completely ruin an otherwise smart outfit with an overly long necktie with a small wadded up knot stuffed inside their buttoned up collars. What a travesty! I thought. I secretly envied these men because they were required to dress smartly and yet they were maligning the very foundations of gentlemanly dress. From this I decided that for me personally I would never let his happen. My next ties were also inherited. 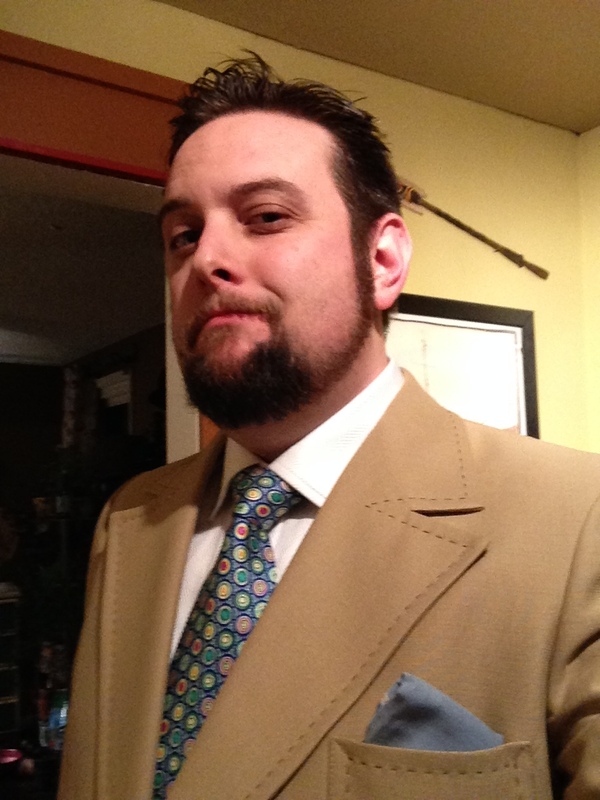 Apparently dressing well is genetic, as I was handed down Countess Mara ties. This was the quintessential necktie maker of the ’30s, ’40s, and ’50s. The silk was luxurious with a certain amount of tooth and the color gave off a satin sheen. The inner fabric was plush but not overly so. The length was correct and width not ostentatious. The knot came out perfect every time. This was a true gentlemanly tie and while most designers put their name on the inside tag, the part where the narrow end get tucked into, Countess Mara proudly embroidered a crown and the letters CM at the bottom front of their ties. Thus, the casual observer immediately knew that the wearer of this necktie was refined in his tastes and probably drove luxury cars, owned many leather-bound books and smelled of scotch and bergamot. As a fledgling service, I turned to the internet to begin my necktie education, and much to my delight I learned that there was more than the wadded up mess of tie knots that could be used to tie a tie. There is the Windsor, The Double Windsor, the Shelby, and Four-in-Hand. It seems a lot, but each serves its own purpose. 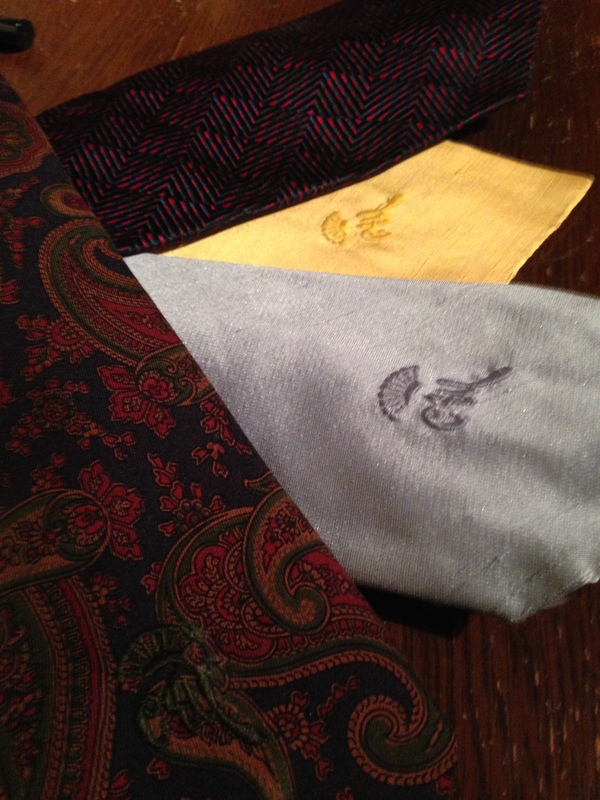 The materials used in the making of neckties are as varied as the patters and styles themselves. The fabric and style of tie will directly relate to the type of knot used. In this small guide I will focus on these four knots. For simplicity sake I am not going to offer a tutorial of how to tie these ties. The online video sharing juggernaut of YouTube will have plenty of How-To videos on this subject. In fact if you type in “How-To” in the search box, “…tie a tie” will be the first selection to come up. Firstly, the Windsor, aptly named after the Duke of Windsor, is the most common knot used. Unfortunately this is also the most prone knot to end up as the small wad at the top of your neck. It takes a certain amount of romancing to get the knot just right. Usually larger, thicker ties allow for this knot the best. Their construction allows for the knot to maintain its shape without bunching. For longer ties usually made of shiny silk, I recommend using the Double Windsor. 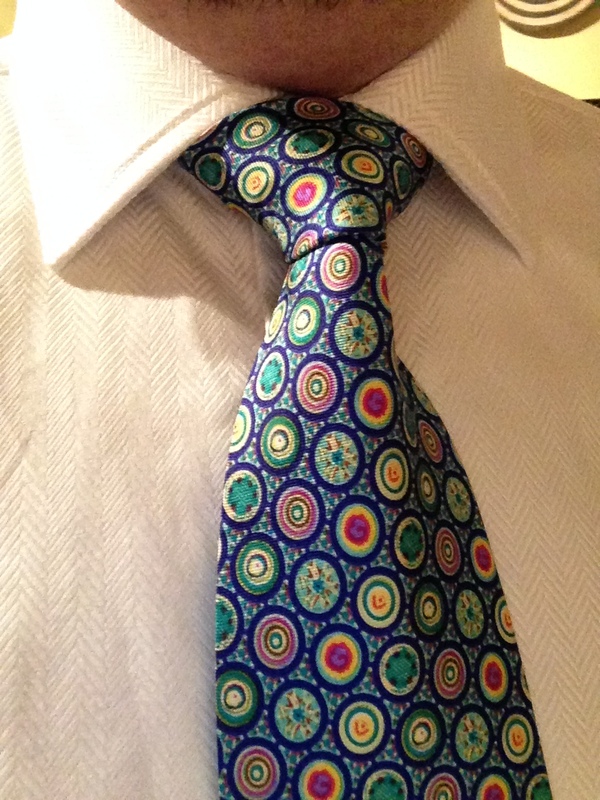 This knot produces a much thicker wider triangle in between the points of your collar. The extra step in tying the knot require that the tie itself be longer. This also works well with spread collar shirts. The Double Windsor is sort of the granddaddy of them all and takes practice to get right. Other than receiving multiple compliments, the double Windsor also stays in place nicely. Pro tip: the Double Windsor knot is so large you can wear it with your shirt collar unbuttoned, for stealthy convenience and comfort. The Shelby Knot (or Pratt Knot as it is alternately called) is the only tie knot that is actually a knot. I found this to be particularly fascinating because the beginning steps to tie the tie are actually started backward. The inside seam faces out. This knot works well for many different sizes and materials of ties. The end result is a neat triangle shape the stays in place and works with a variety of shirt collar types. 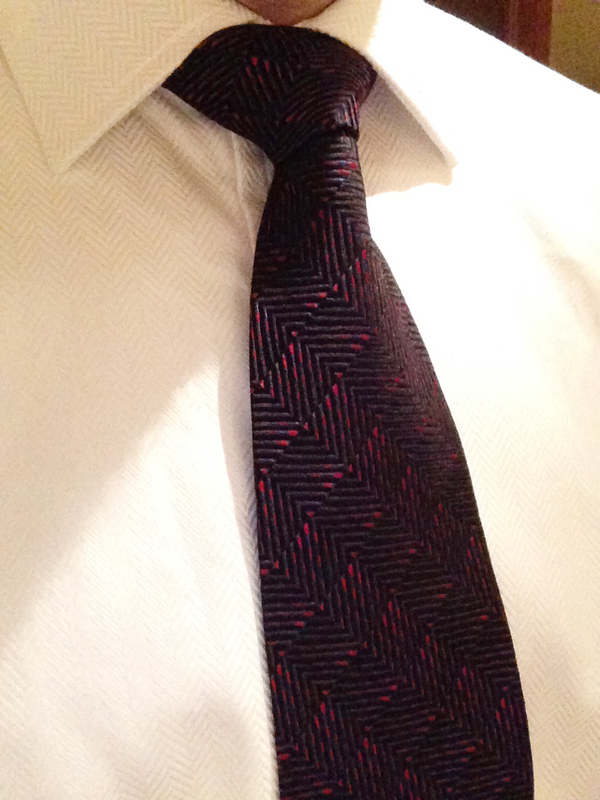 Finally, the Four-in-Hand Knot. This is the most common and easiest to learn how to tie. However this is also the laziest method. It’s fine if one is just starting to learn the art of tying, but with the other possibilities, the true gentleman will find the above knots more stylish in their tie tying arsenal. 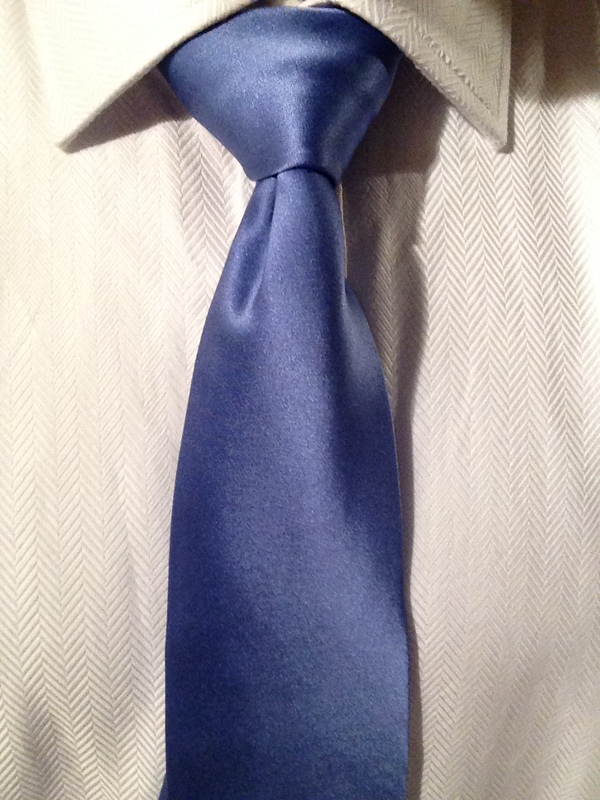 The Four-in-Hand will typically form the smallest knot. Shiny, thin silk ties will automatically slip into the smallest form possible with this knot. Larger, thicker ties will hold up better, but will typically end up lop sided and more cylindrical in shape rather than a smart v-shape. In this instance a smart wool tie works well with the Four-in-Hand. So do this, spend a little time with your necktie collection. Learn a few of these knots. See how each behaves differently when using different knots. The cut, the length, the material will all behave a little differently using these different techniques. In the end, you will be much more satisfied with the outcome. The ladies you will woo, the gentleman will secretly envy, and you will be all the more wiser for having done so. I agree wholeheartedly, Warren! Stay tuned for a bow tie article in the future! 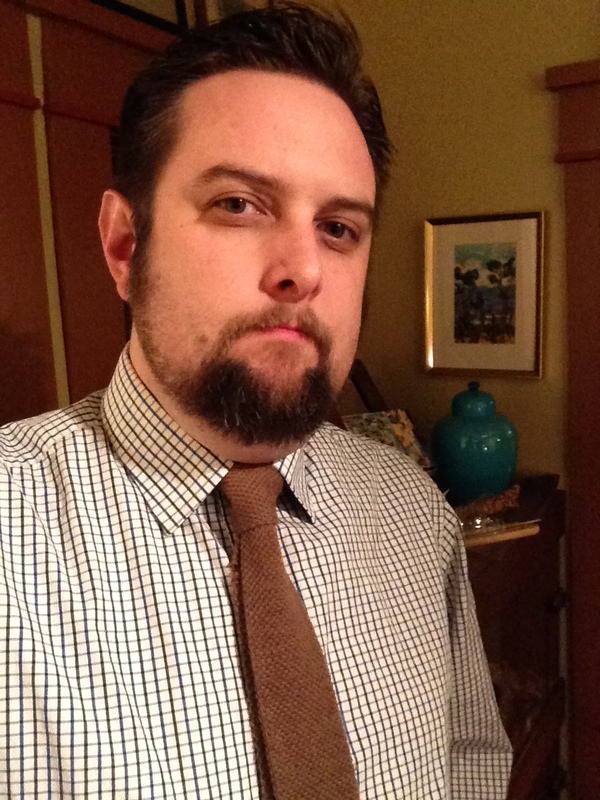 A tie should be worn neat and crisp, not taut to the point of failure.